I just upgraded from a Surface Pro 3 to a Dell XPS 13 laptop, but found that the XPS13 could not access any shared folders on my Synology DS212j NAS even though I had no problems doing the same thing on my Surface Pro 3–both PCs are running the latest version of Windows 10. Based on what I could find, it appears to be a problem with the Linux-based NAS and newer versions of Windows 10. 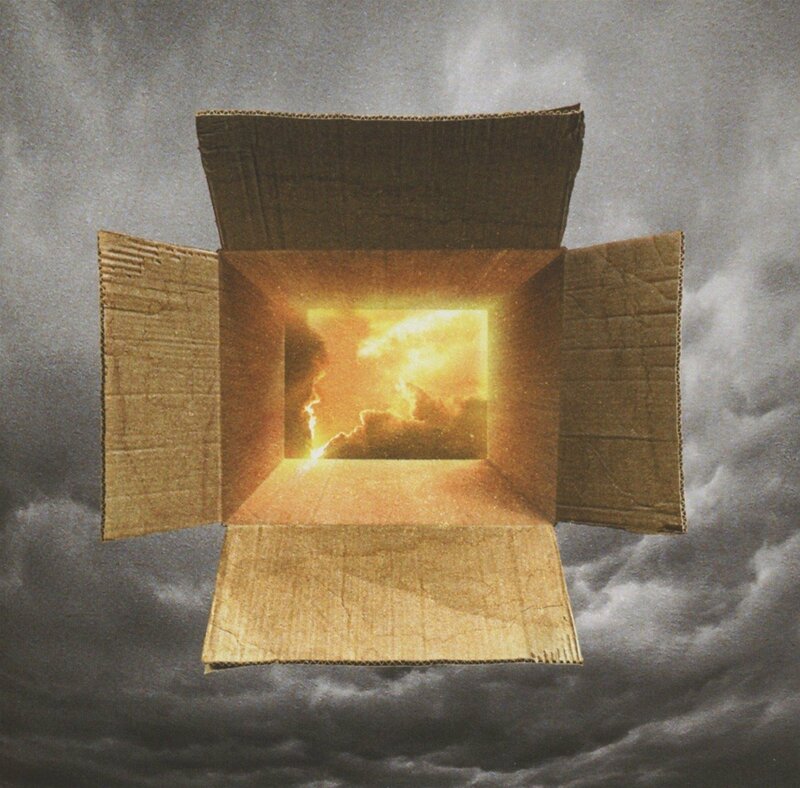 I tried many “solutions” without success, but after a lot of futile effort, an idea popped into my head from decades ago and it actually worked! All of the normal Windows file sharing settings were set. I had no issues accessing the shares from my desktop or my Surface Pro 3–both running the latest Windows 10. 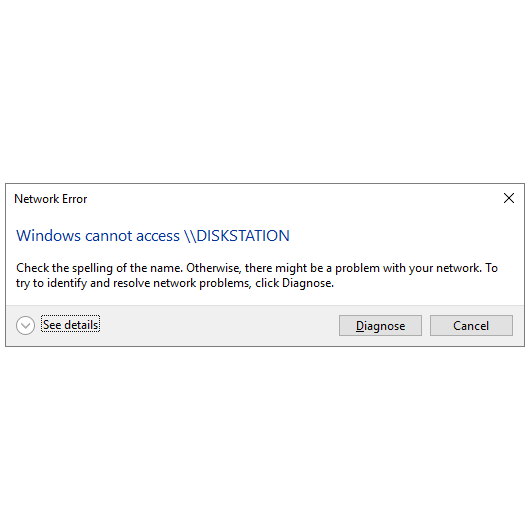 Trying to go directly to \\DISKSTATION didn’t work either. I could also access a folder shared on my Windows desktop without issues. Well, after wasting days on this, I found the solution: the Windows hosts file. I remember using it eons ago when I was doing web development to map custom hostnames to IP addresses. 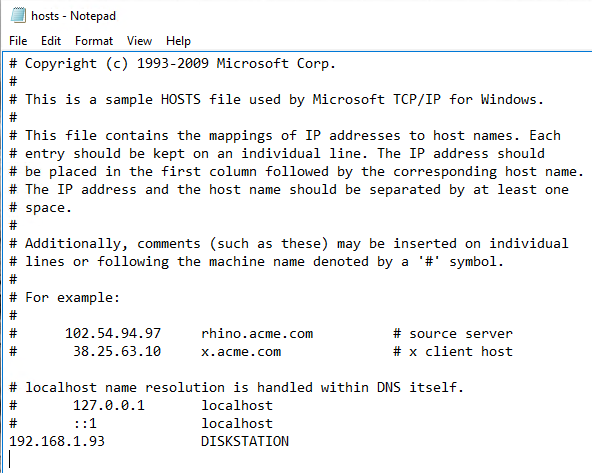 I wondered what would happen if I hard-coded the NAS’s network name and its IP address. Turns out, it solves my problem! Open the hosts file. It is located at c:\Windows\System32\drivers\etc\hosts. Note that the hosts file has no extension, so you have to set the file type to All Files to see it in the dialog. Save the file. It will automatically be read by Windows. Not need to reboot or anything. Now, open File Explorer and click on Network in the Task Pane on the left. DISKSTATION should appear in the list of Computers. If it doesn’t appear, try clicking the recycle button to the right of the input box at the top. If that doesn’t work, try typing \\DISKSTATION directly into the box and press Enter. 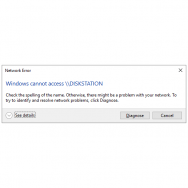 Assuming everything else is set up properly, double-clicking DISKSTATION should bring up all of its network shares. I suppose this is kind of a kludge solution, but it’s simple, straight-forward and–most importantly–works. Good luck! Thank you so much. It works for me!! THANK YOU! Ít may be a hack, but it definitely works. LIFESAVER! I spent so long trying to fix the issue until coming across this, thank you!! Wow, I was searching a solution since forever. Thanks! It worked! I found this through Synology’s forum… And it is a time saver! My share drive on Windows 10 stopped working last night with slightly different symptoms (web interface visible, but not through File Explorer), and using \\ worked like a charm. Well my solution is a bit heavy handed but it works. Glad it worked for you as well.